“Making A Difference Rescue” is a Non-Profit Organization that is funded solely by donations made by the public. We are a 501(c)(3), no-kill, all breed animal rescue licensed by the State of Il Department of Agriculture. We are based in Channahon, Illinois. We do not have our own facility. We rely soley on a team of dedicated volunteers and screened foster homes to re-home, socialize, and care for our animals. With their help and yours, we are able to rescue animals from potential euthanasia and help lower overpopulation in area shelters. which has allowed us, in turn, to be there for all the animals that have found their way into our organization. will find it in your heart to send a special gift. $60 helps defray the costs of vaccinations and immunizations for one dog or cat. $110 helps defray the costs of spay/neuter surgery with before and after pain management. $350 provides up to 1 month of emergency boarding services for one dog or cat. $250 helps defray the costs of emergency medical services for one dog or cat. Make a donation either by mail or online and contact your companies HR department to see if they will match your gift to Making A Difference Rescue. We’re using iGive.com to raise money for Making A Difference Rescue. And when you search the web through iSearchiGive.com (a search engined powered by iGive! 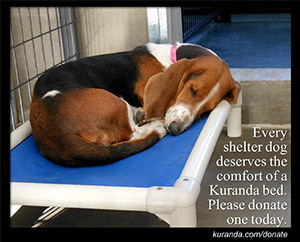 ), you’re raising a penny or more for our rescue every time. If you do happen to make a purchase through iGive within 45 days of joining, they’ll donate an EXTRA $5 to our cause! With 822 stores in the iGive Mall and the new iSearchiGive.com search engine, it’s easy to find the things you need AND raise money for a good cause. Don’t feel like registering? Take iSearchiGive.com out for a spin and raise a penny (or more!) per search. Just visit http://www.iSearchiGive.com and type “Making A Difference Rescue” in the “Select Your Cause” area. The iGive Mall features over 700 trusted online retailers like Amazon.com, Staples, Nordstrom, JCPenney, eBay, Expedia.com, Barnes & Noble, QVC, & PETsMART to name just a few! You’ll NEVER pay more when you reach these stores through iGive.com. And if you take advantage of the coupons and free shipping deals posted at iGive, you might even save a few bucks! And with iSearchiGive.com, each qualified search earns a penny (or more!) for your cause. 3. Up to 26% of EACH purchase through iGive benefits your cause, along with a penny (or more!) per qualified search at iSearchiGive.com. Make that first purchase within 45 days and get a bonus $5 donation, too! I hope to see you at iGive.com soon and thank you!